Burnie J. Coleman Thompson was born to the late A. Burney and Lucille Pearson Coleman in Lake View, SC. Burnie was born on July 28, 1939. The Angel of Mercy came for Burnie on November 14, 2018. Burnie attended the public schools of Lake View, SC and graduated from Bennett High School in Buffalo, NY. Burnie was joined in holy matrimony to James F. Thompson on December 24, 1954. They were married for 63 years. From this union two children were born: James E (“Jim”) and Beverly Denise. Burnie’s career began at the University of Buffalo where she worked for a short while. Burnie worked with M. Wile Company of Buffalo NY until retirement in 1996. Burnie confessed her faith at an early age and joined Little Mt. Zion Baptist Church, Lake View, SC. 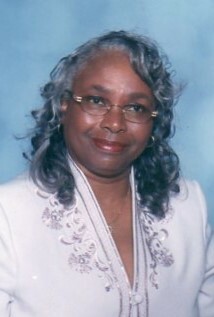 She later joined New Hope Baptist Church, Buffalo, NY in 1956. At New Hope she served on the Usher Board, Women’s Guild, organized anniversaries and assisted in several other areas. After returning to Lake View, SC, Burnie continued serving at Little Mt Zion on the Deaconess Board, Senior Choir and Missionary Board. Burnie was quiet but outgoing, loved her family and friends and loved to travel. Burnie can be remembered for her beautiful style and fashions. Burnie leaves to cherish the memories of her life: Loving and devoted husband James F Thompson of the home ; son James E. Thompson of Myrtle Beach, SC; daughter Beverly (Ernest) Mahan of Greensboro, NC; grandchildren: Corey (Shandra) Thompson of Hendersonville, NC; John (Angel) Thompson of Buffalo, NY; Jeremiah Thompson of Myrtle Beach, SC; Jeana Thompson of Atlanta, GA; great grandchildren: Corey Jr, Chania, Cailyn, and John Jr; Sisters: Celestine Johnson of Washington DC; Arcella Coleman of Dillon, SC; Barbara Sillmon of Buffalo, NY; Virginia Coleman of Lake View, SC. In-Laws: Betty Coleman of Los Angeles, CA; Ceola Thompson of Brooklyn, NY; Grady (Rhonda) Thompson of Buffalo, NY; Bill (Gerry) Thompson of Atlanta, GA; Robert (Rose) Thompson of Charleston, SC; Eugene Thompson of Lake View, SC; Sue (Lenue) Hayes of Lake View, SC; Charles Fore of Marion, SC; Charles Johnson of Queens, NY; host of nieces, nephews, relatives and friends; special friends: Vergie, Ruthie and Mildred; goddaughter: Brittany Ford of Atlanta, GA.